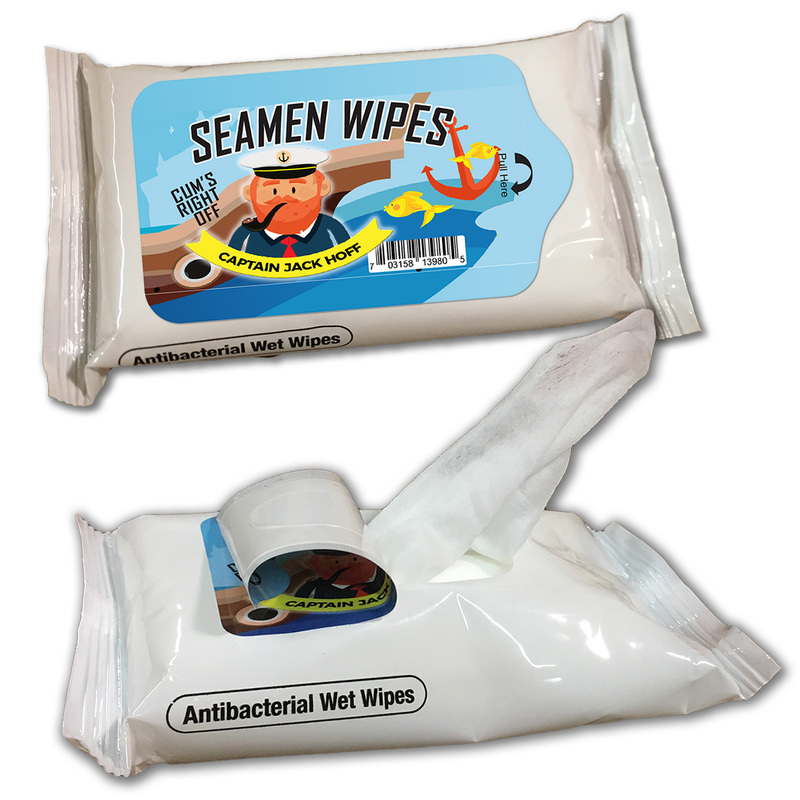 A filthy vessel can be a sailor’s downfall. Not only is it uncomfortable, good luck getting anyone to board! Talk about a bitter end! Alcohol-Free Seamen Wipes are a surefire way to deep six any barnacles that may be soiling your sailboat. 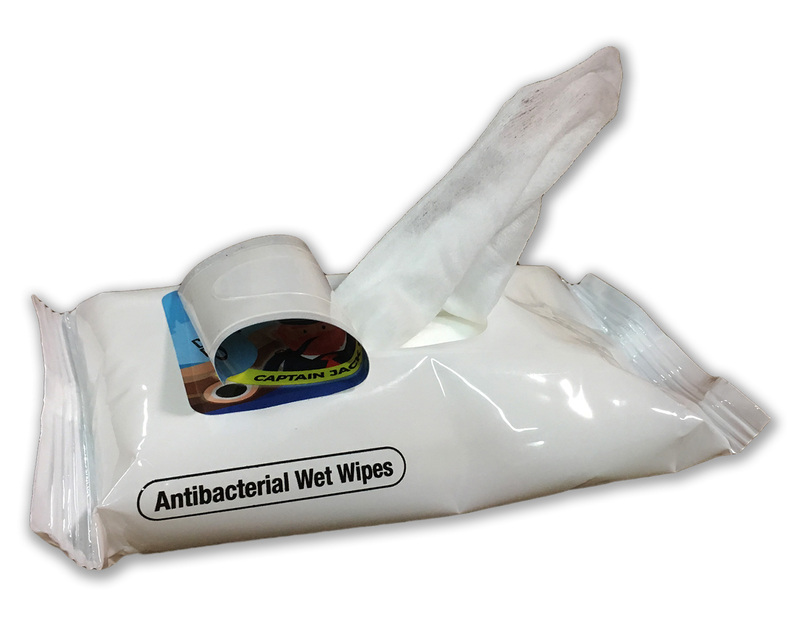 Keep a pocket pack of convenient, antibacterial wipes handy, and you’ll be prepared to really get in there and swab the deck before word leaks out that you’re not keeping a tidy ship. 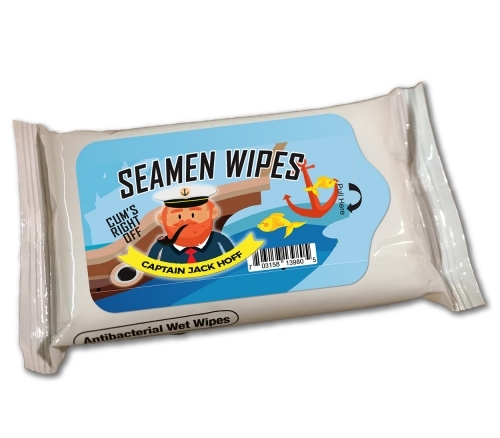 Captain Jack Hoff’s Seamen Wipes antibacterial sanitizing wipes are perfect for friends and family who understand the importance of keeping their mainsail in peak condition! 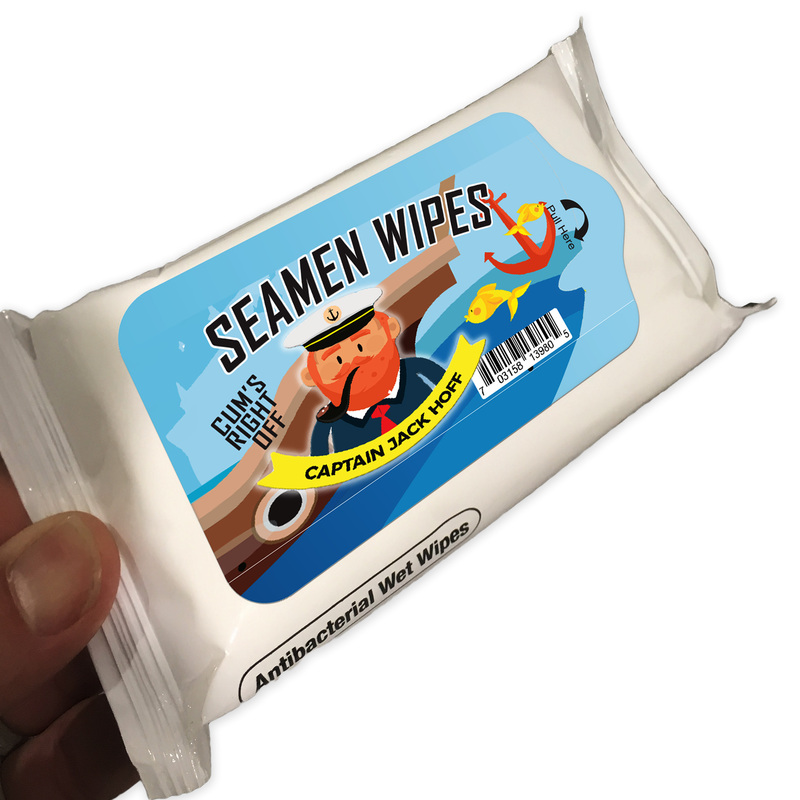 This funny sailor gift for men is a weird stocking stuffer, fun white elephant idea, Secret Santa gift, or silly addition to birthday gift bags, care packages, or Easter baskets for guys.